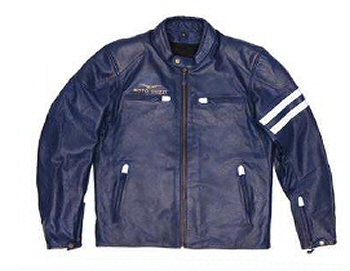 Leather jacket designed and engineered specifically for use by Guzzi enthusiasts. The deep leather treatment gives this jacket a genuine vintage look, while not compromising material strength, durability, or rider comfort. Jackets feature aesthetic and functional quilting on the shoulders and elbows with an adjustable zipper, 4 external pockets and reflective 3m piping on the LH sleeve.